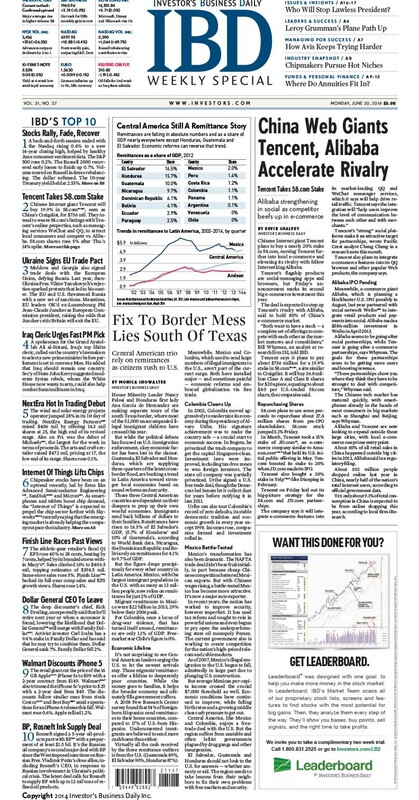 But while the political debate has focused on U.S. immigration enforcement, a key economic factor has been lost in the clamor. Guatemala, El Salvador and Honduras, which are supplying three-quarters of the latest cross-border flood, are bucking a trend in Latin America toward stronger local economies based on sound reforms and security. Those three Central American countries are dependent on their diaspora to prop up their own woeful economies. Immigrants [illegal aliens] send back billions of dollars to their families. Remittances have risen to 16.5% of El Salvador’s GDP, 15.7% of Honduras’ and 10% of Guatemala’s, according to World Bank data. 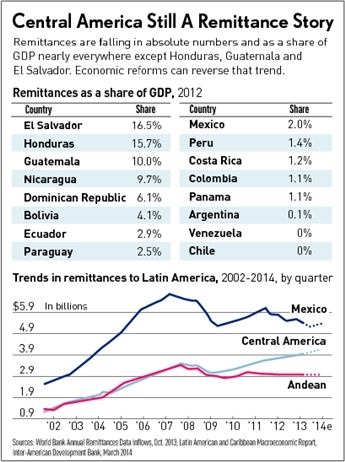 Nicaragua, the Dominican Republic and Bolivia rely on remittances for 4.1% to 9.7% of GDP. But the figure drops precipitously for every other country in Latin America. Mexico, with the largest immigrant population in the U.S. with as many as 13 million people, now relies on remittances for just 2% of GDP. El Salvador, Guatemala and Honduras should not look to the U.S. for answers — whether amnesty or aid. The region needs to take lessons from their neighbors to fix their own problems with free markets and security.